Get out of your school lunch rut by serving your kids these quick, easy and healthy recipes. Make old favorites like peanut butter and jelly new by adding fruit, offering a different flavored jelly or serving it in a tortilla. This is also an opportunity to expand your child's lunchtime meals to include things like pastas, soups, subs and salads. These recipes require minimal effort but are rewarding for both you and your child. Peanut butter and jelly sandwiches are a lunchtime staple that kids love. Instead of serving the old stand, try serving these PB&J banana burritos. Spread your favorite peanut butter and jelly on a tortilla and then wrap it around a banana. To boost the nutritional value, use a whole wheat tortilla. 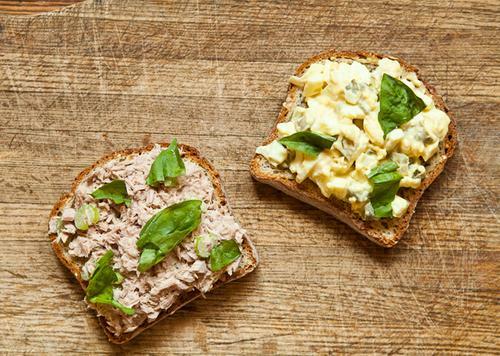 If your kid cannot decide between a tuna or an egg salad sandwich for lunch, why not give them both? Inspired by the half and half drink, the Arnold Palmer, this sandwich has the best of both worlds - creamy egg salad on one side and rich tuna on the other. There is no denying that kids love pasta. This super simple pasta salad comes together fast and it's a great way to change up their lunchtime routine. Feel free to swap out the salami for your child's favorite deli meat or other cured meat. These turkey and cheese pinwheels are as fun to make as they are to eat. Whole wheat tortillas are slathered in cream cheese and layered with turkey and cheese. Feel free to add veggies like roasted red peppers, spinach or alfalfa sprouts. 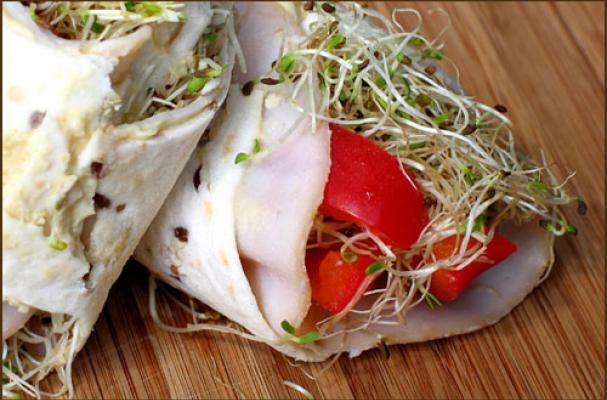 Wraps are an easy alternative to sandwiches. Anything from a turkey sandwich or PB&J can be turned into a wrap. You can use pita bread, tortillas, or other flatbread and include your favorite sandwich filling.